Blinds come in many shapes and styles and are a wonderful way to decorate your home. Come visit Custom Blinds By Gary Twiggs in Cape May Court House, New Jersey, to view our selection. 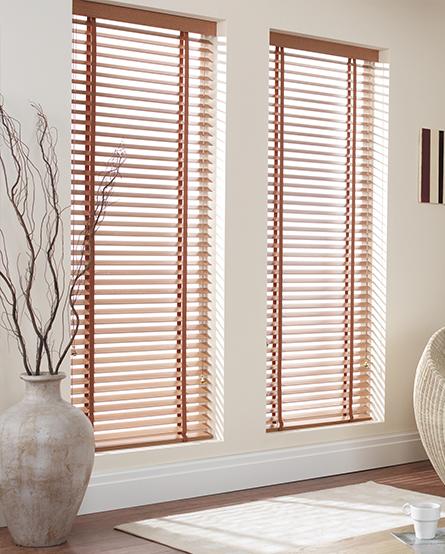 Wood Blinds add a romantic touch of warmth and rich, natural beauty to any room. They reflect an enduring quality that makes them a perfect companion for interior home decor. If you want the grand look of fine wood blinds but need something suitable for high moisture areas for less money, consider our faux wood blinds. These blinds are stunning enough for the living room yet practical enough for the kitchen. Double-cellular shades offer distinctively smooth and textured fabrics from sheer to opaque. Our extensive selection of fabrics provides multiple levels of privacy, light control, and sound absorption. The trim, unobtrusive head-rail renders a clean, uncluttered appearance. Specialty shapes and several optional operating systems provide complete design freedom and flexibility. Practical and fashionable, custom vertical blinds are known as the most versatile of all window treatments. Vertical blinds are perfect for large or small windows and patio doors. Verticals are available in a variety of fabrics, textures, and colors.